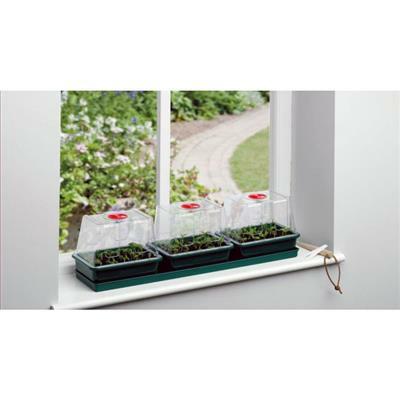 Super 7 Self Watering Propagator is perfectly sized for the windowsill. 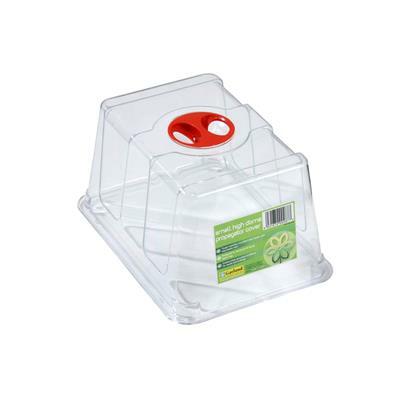 This product features 7 high quality injection molded, vented mini propagators. With the exception of the capillary matting and the clear covers, it's made from 100% recycled plastic. I use these to start all my seeds and then "prick" them out when they get their first set of true leaves. I save so much space, seed starting mix and get to pick the healthiest seedlings to prick out and pot on! Love these little propagators! 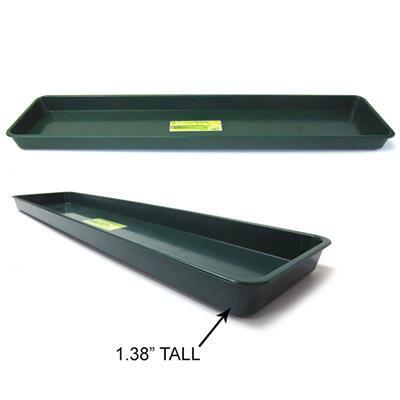 The lids fit on the mini seed trays that they sale separately so you never have to wait until your seeds are out of the original trays if you buy extra seed trays! well designed. I get one week of auto watering with the large reservoir. 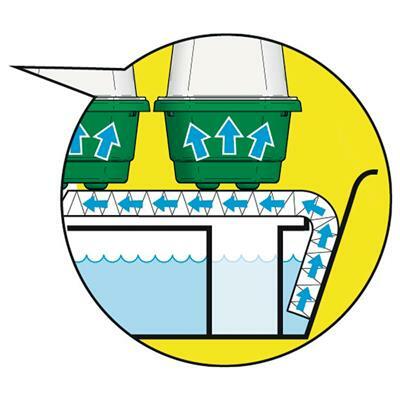 capillary mat stays wet and quickly wets. high quality materials, durable. use for provided containers and potted plants. I really like these alot, however these are only good if you have just a few plants to start. They work great, but I have siince moved on to the larger setup. I will use these again to start just a couple of specimens. I got this as a Christmas gift and I was amazed at how rigid it is. It is all made with strong plastic and I know will last me for years. Such a good deal! I have to say this is NOT worth the money and TOO SMALL to be useful. 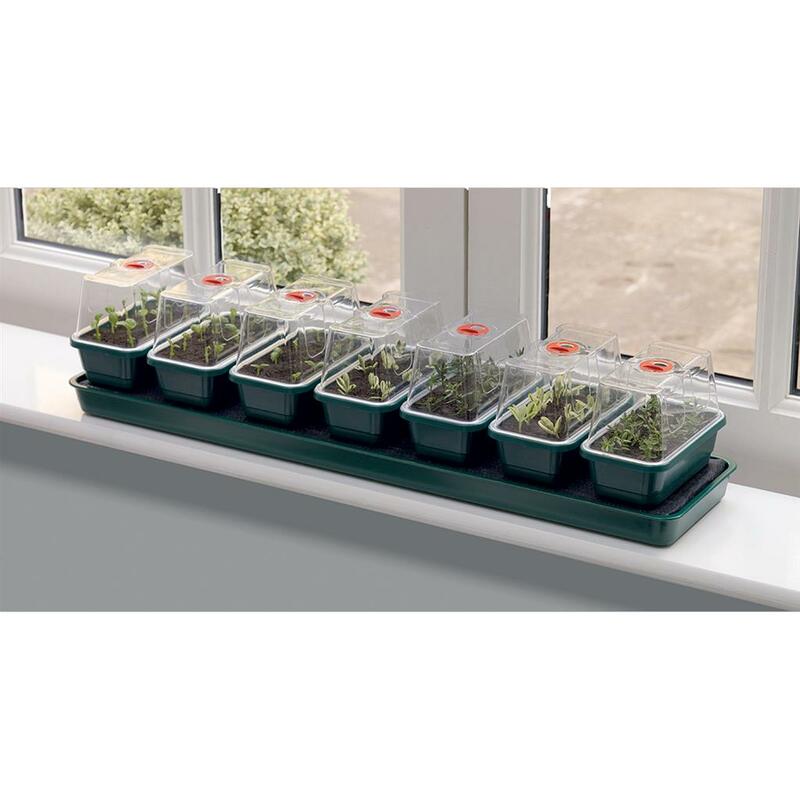 The tray which could be useful with larger propagator by GARLAND, these 7 mini propagators are to small to be of any use to me and I only could see a child using them and being happy. MISLEADING positive comments about growing greens etc..REALLY?? not useful for that at all.. Well if you eat three pieces of greens to a salad maybe. 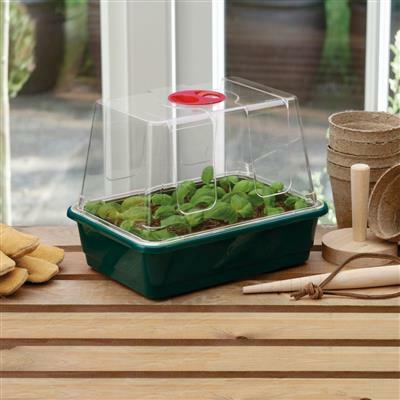 Garland makes better quality products these 7 propagators are just TOO SMALL... Spend your money on the other versions and skip the gimmick self watering tray I fell for...I could of summed this all up with DISSAPOINTED GREATLY!!! Well made with fabulous results. 100% germination from all 7 units using Jiffy pellets and heat mat. 8 pellets fit perfectly in each unit. 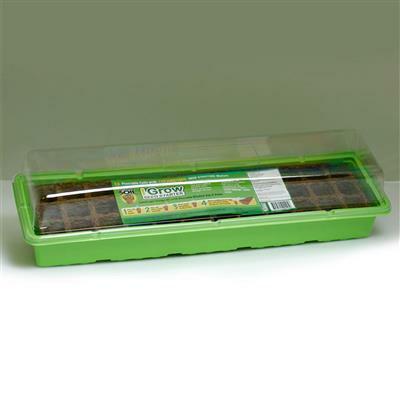 Have now purchased a second propagator since putting the first purchase to use. A well thought out and well built unit that does just what it is supposed to do. Have used the first unit to produce Adenium and Pachypodium seedlings. The seedlings are doing very well and much of that has to do with the growing environment provided by the propagator. It is well worth the money paid for it and would recommend it to others. The watering tray has been working very well, and I have just begun with the seed trays but they are sturdy and look as if they will last a long time. 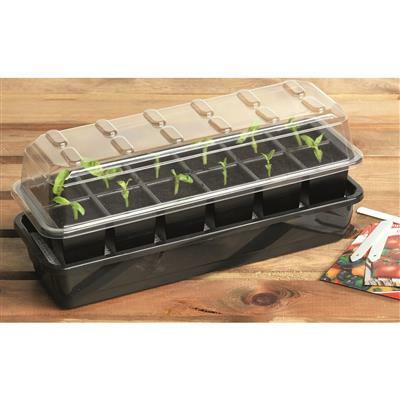 Incredible little set of propagators for starting seeds and rooting cuttings in a small space. Have done both and it works well. Should last a while. Reasonably durable construction.